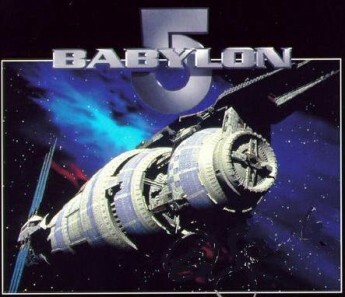 This Saturday the 20th, we’ll be having a Babylon 5 marathon! We’ll be starting sometime not too long after 9am and going until late, so feel free to drop in whenever even if you can’t make the whole thing. We’ll be in Goldstein G04 either Quad G026 or G027 – to get there, stand outside the glass door do G032 and head towards the main runway – G026 is on the left once you get out from under the covered-over area. The banner will be outside as usual, so it should be easy to spot. The room we’ll be in has movable furniture – means we can shove all the tables to one side if you want to bring a beanbag or pillow or air mattress or folding bed or comfy chair or even a couch. So bring something to sit/lie on (or use the plastic chairs that are there if you like), bring some snacks if you so desire, and prepare for a whole day of Babylon 5! Fun! The marathon passes over both lunchtime and dinnertime. Usually I’ll get pizza (at $5 per half) for one meal, and let everyone do their own thing for the other, but specifics will be arranged on the day. There’s access to a microwave if people want to bring their own food, but it’s not exactly close by. Due to availability issues, the location for the Saturday marathon is changing. (Pharmacology seems to have booked out the whole Quad for the whole weekend – poor sods.) We’re now in Goldstein G04. Prior members will know where that is, but for new members, the Goldstein building is directly opposite the Quad from our normal Friday room. Simply follow the brick path across the lawn and through the archway in the wall on the far side – Goldstein is the building on the right immediately after you pass the archway. I’ll hang a banner outside. (If you navigate better with a map, check out the campus map – Goldstein is building D16, and the door’s on the Western side. If you try to enter through the wrong door, you’ll wind up in the college part of the building, which is not where we are.) Everything else about the marathon is still the same.